After an unfortunate decline in the marriage relationship, you and your spouse have agreed that a divorce would be best for both of you. Despite agreeing you both need a divorce, you can’t seem to agree on anything else. After weeks or months of back-and-forth negotiation you have finally settled on everything from child custody, spousal support, and who will get the set of decorative silver butter spoons from Aunt Edith which you think are ugly and never liked anyway. But now, so close to the end, your spouse’s attorney demands that you also be required to maintain your own life insurance for the spouse and children. Why would she want that if you are trying to separate your lives and not keep them entwined? Spousal support, or alimony, is distinct and separate from child support and is determined differently. Child support provides for the expected needs of the children based on the gross income of the parents. Regardless of the lifestyle or fault by the parents, a court will determine the gross income both parents and use statutory guidelines to determine how much child support must be paid. (See generally Va. Code §20-108.2) Child support is generally paid until the child reaches 18-years old. 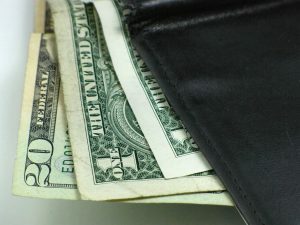 Whether the support payments are for child support or spousal support, a judge expects that the support will be available for the time specified in the divorce order or separation agreement. If the spouse paying for support suddenly died, the expected support would disappear and leave both the child, and the living spouse, without the expected support, which could cause a drain on social safety nets. I’ll illustrate this with the following example: A couple in the process of divorce has been married for 20 years and has three children. The mother quit her job to raise the children and has not worked for over 15 years. The father makes $200,000 a year but the mother’s job skills are obsolete and she is unlikely to ever make more than $20,000. Upon divorce, the mother will have custody of the three children but because she makes little money, the court will order the father pay substantial support to meet the needs of mother and children. If the father dies, the mother cannot make enough to support the family and will end up in poverty and likely on government assistance, a drain on limited state welfare funds. To prevent that kind of outcome, the Virginia legislature enacted Va. Code §20-107.1:1, which grants the Court the power to require that any party in a divorce be required to maintain any existing life insurance policy purchased during the time of the marriage and to designate the spouse as a beneficiary of the policy. Because a court is clothed with the authority to order the life insurance be continued beyond the marriage, when negotiating a divorce or settlement, the parties’ attorneys may request a similar provision be included as part of a separation settlement. 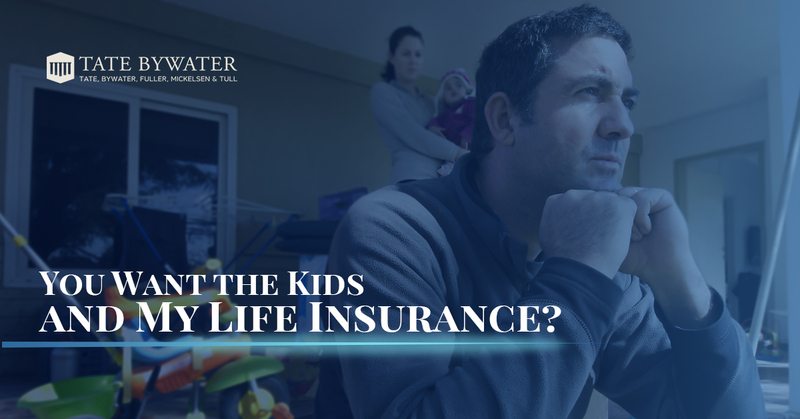 Importantly, while the Court may require a party to keep life insurance, they are not required to make that order. Maintaining life insurance, especially after a costly divorce, can be burdensome and difficult, and it may be simpler to avoid the provision in exchange for some other consideration. If you are contemplating divorce or wanting to know how best to navigate a separation agreement, you should consult with an experienced family law attorney from TATE BYWATER. At our firm, you will find an attorney that understands the legal factors affecting spousal support, and also someone with vast experience in the local courts. Contact us, as see how we can help you get your best outcome, today.